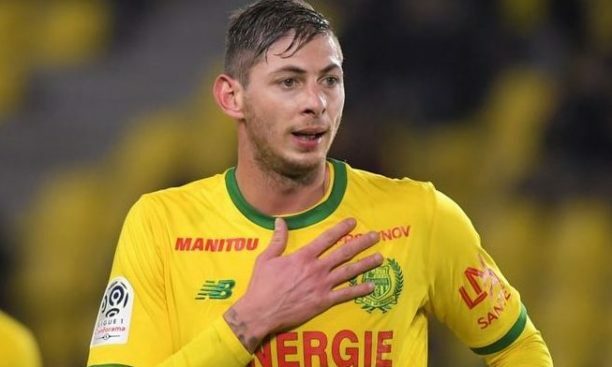 The family of Cardiff City footballer Emiliano Sala said Friday they could now begin mourning after his body was formally identified following its recovery from a crashed plane in the Channel. “We can now begin to mourn our son and our brother,” the Argentinian player’s family said in a statement, also thanking everyone involved in the effort to locate the submerged wreckage off Guernsey. “We would like to thank you for all of your signs of affection and support in the most painful time of our life,” the family said. Sala had returned to France to say goodbye to his teammates at Ligue 1 club Nantes and was flying to Wales on January 21 to join up with his new club following his 17-million-euro ($19.3 million) transfer. The plane, a Piper PA-46 Malibu, vanished from radar around 20 kilometres (12 miles) north of Guernsey.